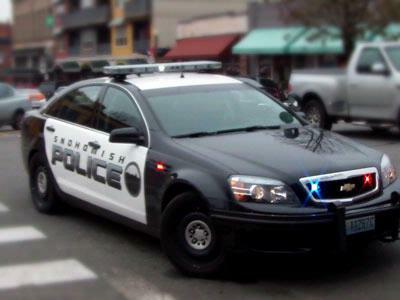 EVERETT, Wash., December 24, 2018 –Text-to-9-1-1 is an emergency service that has been available in Snohomish County since 2015, and on December 20th, 2018 Text-to-9-1-1 is also available in neighboring King County for the first time. This service is intended to benefit people who may not be able to speak due to an emergency such as a home invasion or abusive partner, as well as those who are deaf, hard of hearing, or speech impaired. While coverage is increasing, Text-to-9-1-1 service is not yet available state-wide. If you send a text to 9-1-1 from a wireless carrier or a city/county without the service, you should receive a message saying that the service is not available at this time. Neighboring Kitsap and Thurston counties have Text-to-9-1-1, and Pierce County is working to introduce the feature early in 2019. Though texting is available, you should always call 9-1-1 if you can. A conversation can more quickly relay vital information and get you the help or services you need. “We would like to use this opportunity to remind the public to ‘call if you can, text if you can’t’,” said Thoroughman. Deaf or hard of hearing callers and individuals with speech impairment. The caller is unable to speak due to a medical issue or other condition. When speaking out loud would put the caller in danger such as a home invasion, an abduction, a domestic violence incident, or an active shooter scenario. When texting 9-1-1 for an emergency, the first message should be the address or location of the emergency (including city) and the type of emergency help needed (police, fire, or medical). Your location will NOT automatically be sent with your text. Keep text messages brief and concise; using full words. Do not use abbreviations, emoticons or emoji. Photos and videos cannot be sent to 9-1-1 at this time. Stay with your phone, be prepared to answer questions and follow instructions from the 9-1-1 call taker. Don’t forget to silence your phone if you don’t want to be heard. Just like regular text messages, 9-1-1 messages may take longer to receive, can get out of order or may not be received. Texts sent to 911 are not anonymous. Sending a text message to 9-1-1 is not available if you are roaming, and a text or data plan is required to send a text to 9-1-1.